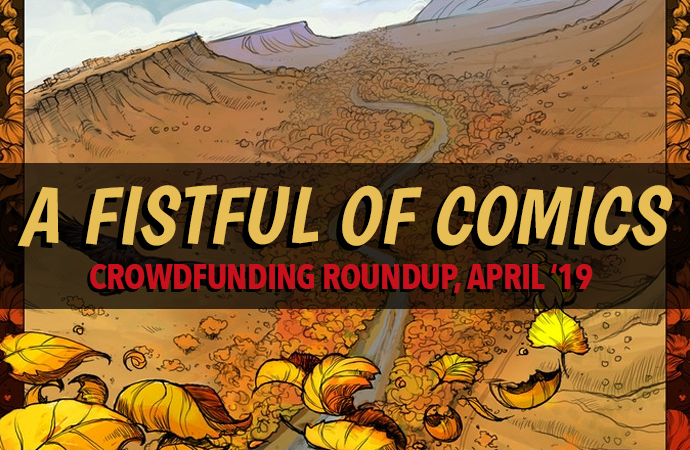 Bio comics, modern folklore, and trope-flipping collections abound on Kickstarter this month, and a whole bunch of 'em have free previews for you to read! Hey! 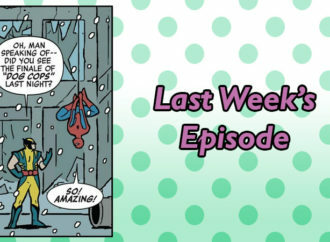 This piece took me six hours to write because I kept reading all the links, previews, and webcomics attached to this month’s incredibly good projects. I had other things to do today! 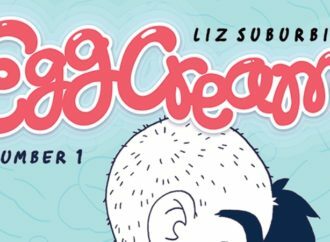 What I’m saying, of course, is that this month’s collection of bio comics, wacky shorts, modern folklore, and trope-flipping collections are absolutely incredible, and that it’s time for you to get out your wallet and make my swiftly disappearing Saturday worth it. 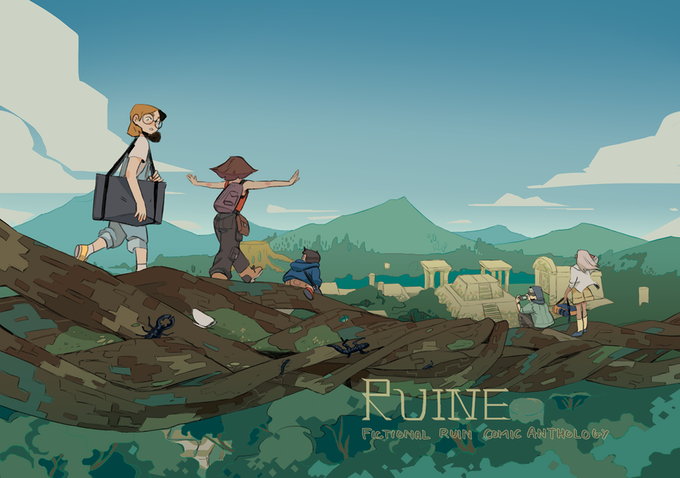 Ruine is a short anthology of comics about ruins. 40 pages long, it collects four stories (one from each contributing artist) about discovering and exploring ruins, each in a distinct setting. 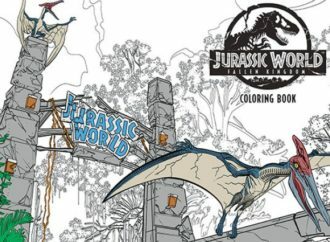 The anthology is short and sweet, but the artwork looks beautiful and every page of the book will be in glorious color. The contributors—who are listed only by their first names or handles on the page—are all French, but the book will be in English. And, like… geeze, y’all, it’s so pretty. I got nine words into the logline for Hands Up, Herbie! before I clicked on the campaign, and that’s because those words are “Born into a Jewish mob-linked family in Brighton” (the tenth word is “Beach,” but at that point I’d already stopped reading and started clicking). Thanks to the American fixation on the Mafia and our love for deeply entrenched stereotypes, I don’t think I’ve ever seen mention (fictional or not) of Jewish identity linked to organized crime, and that was more than enough to get me to stick my nose into this story. But as I read on, I found that the book is a project shared between Joey, the author and illustrator, and his now-late father, the titular Herbie. And y’all, from growing up with connections to the mob, to leaving home at 14, to starting an anti-capitalist art collective, Herbie lived a wild life. 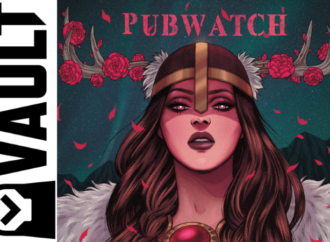 Little Red Bird Press is a micropress that puts out a couple high-quality comics per year, and this April they’ve taken to Kickstarter with their 2019 collection! This year, they’re featuring three new comics: Zak Kinsella’s Burn: A Tale of Ilunea, an adventure story of refugees and incredibly hostile travel conditions; Gerardo Alba’s Back Piece, about a nervous tiger tattoo apprentice and interstellar excitement; and Ally Shwed’s Bearplane, a silent comic about an unexpected seatmate. The comics range from 25 to 52 pages, and you can get the whole bundle for $15 (digitally) or $25 plus shipping (for physical copies). 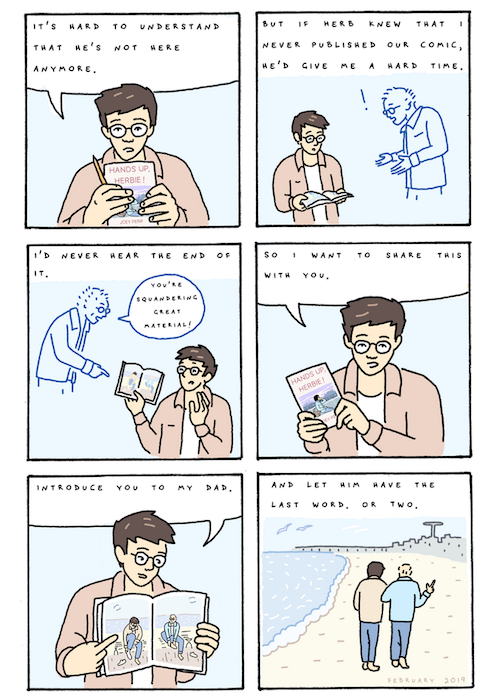 These comics have charmed me. 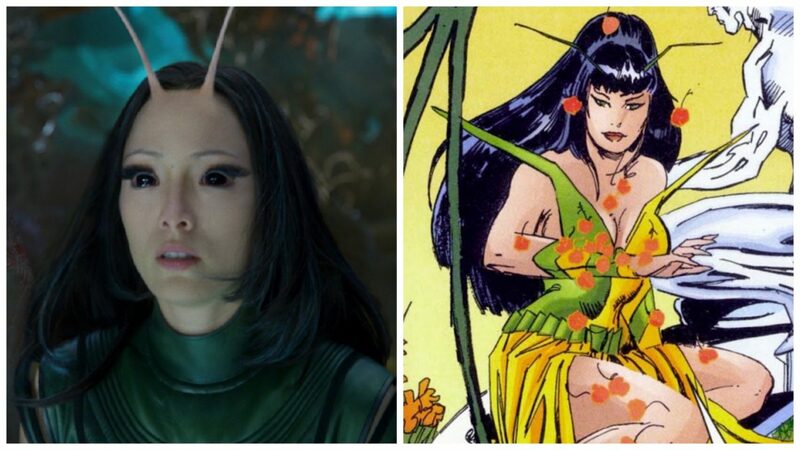 I am extremely charmed. I’m gonna be honest with y’all, I am… not into horror. It edges its way into my head in a way I don’t like, and I get freaked out for days or weeks, depending on the medium. BUT, you might be? 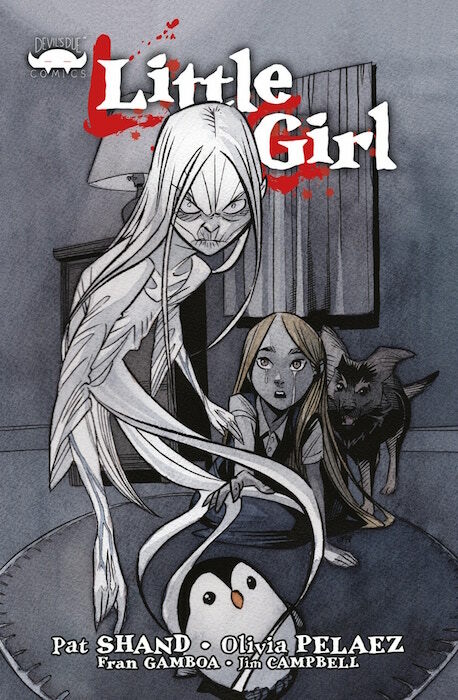 And Little Girl is very, very cool—built off the childhood fears of artist Olivia Perez and writer Pat Shand, Little Girl tells a rightfully horrifying horror story not from the perspective of the victims, but of the ghost. 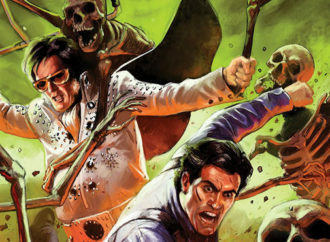 Also, if the campaign hits $10,000, they’ll include personal ghost stories from comic creators, which sounds incredible. 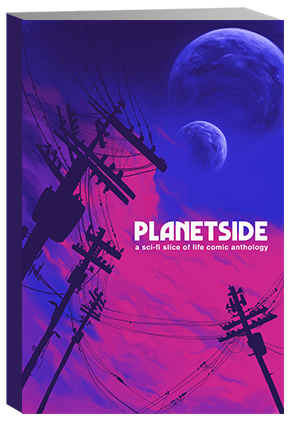 Planetside is an anthology about the people who stay behind while heroes, scoundrels, and BLANK go off on interstellar adventures. It puts the spotlight on robot cafés, hospitality workers, and planetside ranchers, following the smaller—but no less compelling—stories about their daily lives. 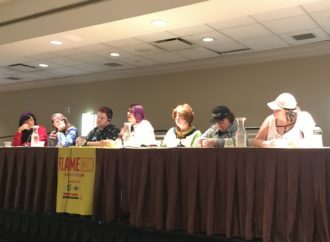 Designed by Annie Stoll of 1001 Knights fame and organized by Thea Ferrara, Planetside includes contributions from indie anthology staples like Shaina Lu & Sunny Ôchumuk, Sonia Liao, and Kevin Jay Stanton. Valerie is a story about a dead mall and your early 20s, which are two things that feel like they go together way better than they ought to. 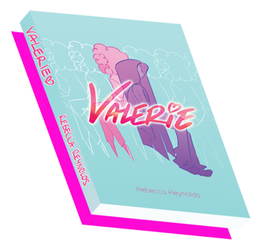 Already a complete webcomic, Valerie explores the ideas of being adrift and leaving things behind, all against the ‘70s and ‘80s backdrop of an abandoned murder mall and Reynolds’ appropriately energetic colors. Though they’re not the same by any means, Valerie‘s dialogue and setting also give off a very Night in the Woods feel, which, if you’re anything like me, is a high compliment. 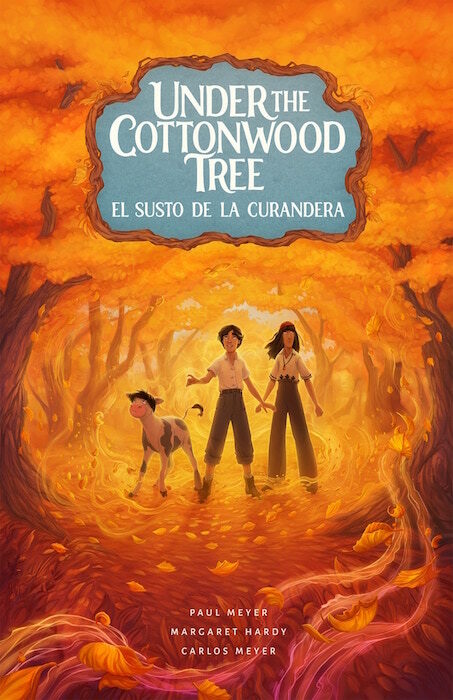 Carlos and Paul Meyer have been working on Under the Cottonwood Tree in various incarnations for years and years, growing it from a dream, to a short, and now to a full 166-page graphic novel. It draws inspiration from the fantastic and sometimes surreal storytelling tradition of Latin American folklore, full of cascading magical mishaps and villains who are perhaps not quite so evil as they are hurt and misunderstood. And, much like many folktales, despite the adventure it takes to get there the ultimate conflict is solved not by force or conquest, but by powerful acts of human kindness. Margaret Hardy’s vivid art style fits the tone of the story perfectly, and you can download the first chapter for free right here! Imaginarium is an all-ages, world-hopping fantasy story that sweeps its hero, Verity, away from her 1920s west-inspired reality and into a medieval fantasy land that’s much less peaceful than it lets on. 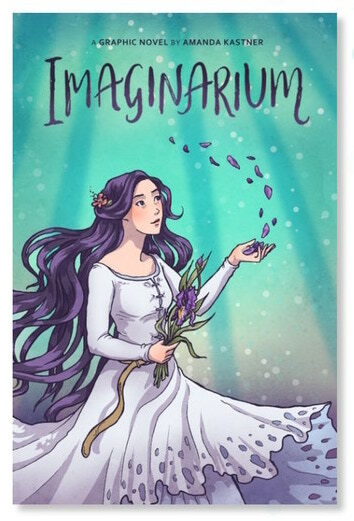 I’m an absolute sucker for reality-to-fantasy world stories and stories where daughters have to save their dads (growing up with a very wonderful but sometimes hapless single father’ll do that to a person), so Imaginarium feels like it was developed for me, personally, and I’m gonna read the whole webcomic just as soon as I can. The campaign also includes a seriously gorgeous 6” x 18” flippable poster, so. Get on that, let me live vicariously through you.